A wise man once said “Anyone can use plugins for effects. Set yourself apart by using other means.” Placid Audio make these “other means” with their creative sounding microphones. 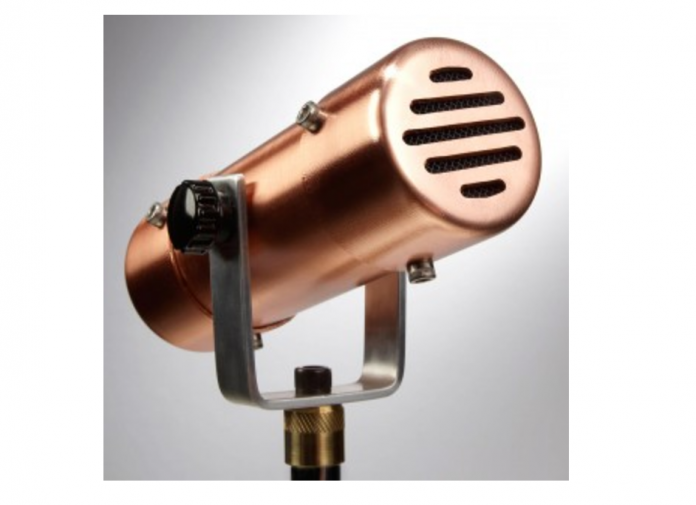 They have released their new Resonator A and Resonator B microphones. Personally I like the B… and not just because that’s the first letter of my name. Although the Resonator can be used live or in the studio as an effect mic on any sound source, it’s really the ultimate solution for adding more attitude and personality to high SPL sound sources like guitar, bass or keyboard amps as well as drums. Furthermore, you can blend the Resonator with a direct signal or other full range microphones to coax out new and interesting tones from your current arsenal of mics and DI boxes. The Resonator employs a tuned full ranged dynamic capsule which is specially loaded into the mic body within a resonant baffled chamber. The combination of the capsule and the baffled chamber yields a throaty mid range and imparts a ‘music box’ like effect on the signal… something that no other microphone or plug-in can match! This mic comes two varieties – The Resonator B and the Resonator A. Both the Resonator A and B use the same dynamic capsule but each employs it’s own unique baffled chamber in order to achieve two different sonic voicing. Which one is ‘better’…? Neither and that’s why we are putting both Resonator variants into production. Use your own ears and decide which Resonator variant is your favorite!